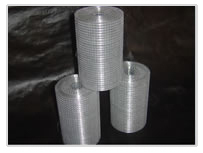 Welded wire mesh are made of high quality iron wire through automatic process and sophisticated welding technique. Laid horizontally and vertically. The finished products is level and flat with sturdy structure.